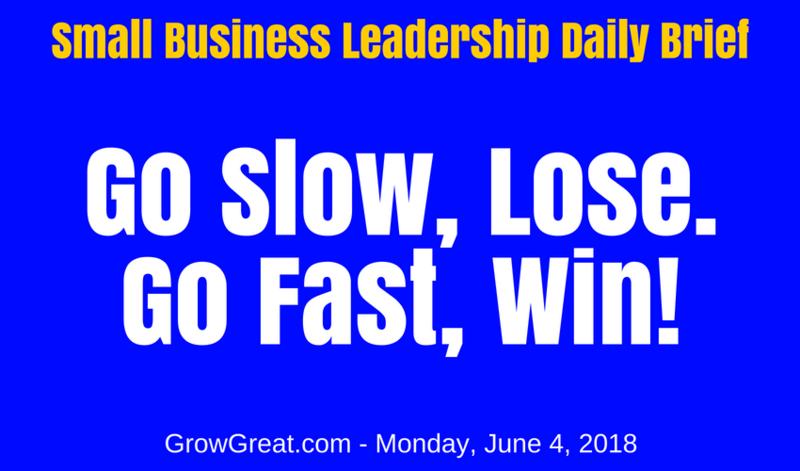 Small Business Leadership Daily Brief: June 4, 2018 – Go Slow, Lose. Go Fast, Win! Speed kills…the competition. It dazzles customers and clients. It’s remarkable. Curiosity fuels it. Don’t keep wondering if it’ll work. Find out. Next post: Small Business Leadership Daily Brief: June 5, 2018 – We Manage The Work. We Lead The People.